Nia Isn’t . 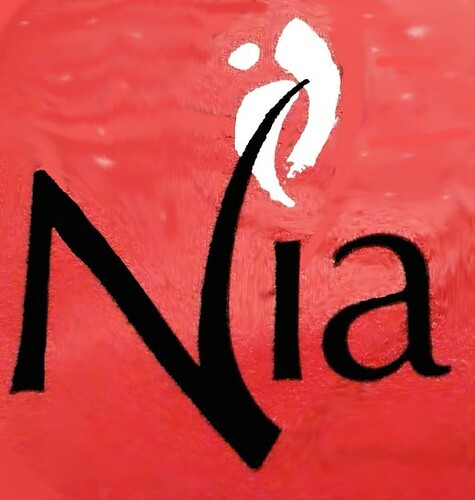 . .
Part of the purpose of my blog is to share what Nia is and to invite people to take one of my classes. I have learned that when teaching people it is sometimes helpful to share what something ISN’T to help them understand what it is. Nia isn’t a class where you won’t sweat. Nia isn’t a class where the teacher shouts at you to motivate you. Nia isn’t a class where you just think about moving. Nia isn’t Tae Kwon Do. Nia isn’t a mindless workout. Nia isn’t taught to Nia teachers in a day. Nia isn’t new to the fitness world. Nia isn’t a strict combination of linear movements. Nia isn’t a class where you are told EXACTLY how to move your own body. Nia isn’t (necessarily) just a workout. Nia isn’t JUST Free Dance. The BEST way to learn about what Nia isn’t and what Nia is, is to go to a class and see for yourself. Nia class finder. Want to find a class near you?